"Balanced Politics: War on Iraq"
Both sides can use this site. Balancedpolitics.org lists major arguments for and against military intervention in Iraq. 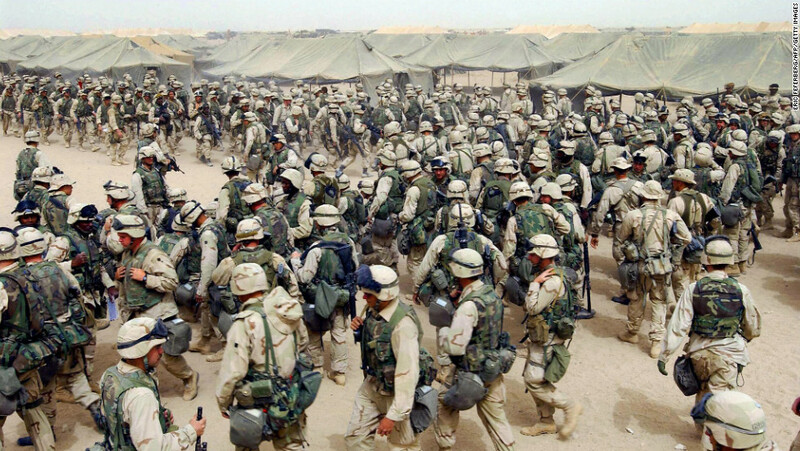 "ProCon.org: Should the US Attack Iraq With or Without the UN?" Both the proposition and opposition will find this site useful. US/Iraq ProCon goes into detail about issues surrounding the war including history, oil, the cost of war, Saddam Hussein, global security, and terrorism. "War in Iraq: Not a Humanitarian Intervention"
The opposition can use this report to prepare. The Human Rights Watch explains why US military intervention in Iraq has done more harm than good in terms of humanitarian efforts.